What makes for a good university teacher ??? A few weeks ago I received an award from the students of my institution for ‘Most Innovative Lecturer’, and since then I’ve been thinking about what makes a good university lecture, and whether anyone can do it. I’ve always been of the opinion that what I do isn’t ‘rocket science’, and that with a small amount of instruction most university teachers could deliver engaging lectures. All these thoughts were bought into focus yesterday as I watched a brilliant BBC documentary celebrating the anniversary of the birth of Richard Feynman. I suspect that if you’re reading this Feynman will need no introduction, so I limit myself to saying that he was unusually a genius both in his chosen discipline of physics and in teaching. Watching clips from the Feynman lectures again made me realise that ‘innovation’ isn’t what good teaching is about at all, after all Feynman gets by with chalk and a blackboard. 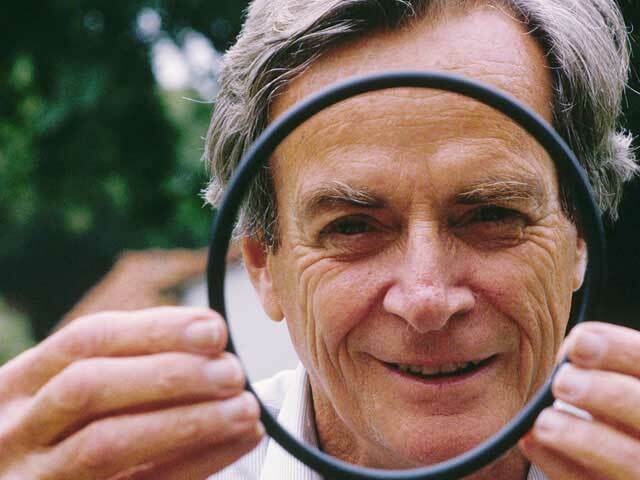 The whole trust of the documentary was that what made Feynman a great teacher came from within him, it was simply the desire to pass on the spirit of inquiry to others and it seemed like this personality trait had been fostered by his own father. What’s intriguing here is that if you look at how universities go about trying to improve the quality of teaching it’s all about technique. It’s course on ‘How to use PowerPoint’ or ‘How to work with Moodle’. In reality, I now wonder whether much of this is worthwhile. If someone isn’t motivated to teach no amount of instruction is going to make them an engaging lecturer. British institutions have a particular issue, in that staff receive ‘tenure’ very early in their career and subsequent career progression is focused much more of research than teaching, thus UK university teachers have little external incentive to produce engaging lectures. Of course, for those with an internal motivation to be engaging (like Feynman had) none of this matters. So, where does all that leave my initial thought about engaging lectures not being ‘rocket science’. Well, I still think that most university lecturers could deliver engaging lectures. However, the question now seems like ‘do they want to’ ? I end up with a question for university managers, how do we provide external motivation for those who don’t have Feynman’s internal desire to explain ??? ← Why do we shy away from teaching the psycholgy of religion to undergraduates ??? I’m not too sure that any form of external motivation can result in this desire. I agree that dynamism results from passion. But, like the above comment, I also think that it’s difficult to force a person to care about teaching. It would help if universities valued it more, but ultimately, each person has to decide whether to just go through the motions or to invest in the process. I maybe cynical above the mentality of academics, but I do wonder if by making teaching quality a requirement for promotion we wouldn’t suddenly see an improvement in standards. I don’t really mind motivates an improvement in teaching (it could be entirely mercenary) as long as then improvement actually happens.I’m sure you’re right that ultimately the passion for true quality teaching is going to have to be internal, but I do think a bit of external ‘carrot’ migth shove things in the right direction.